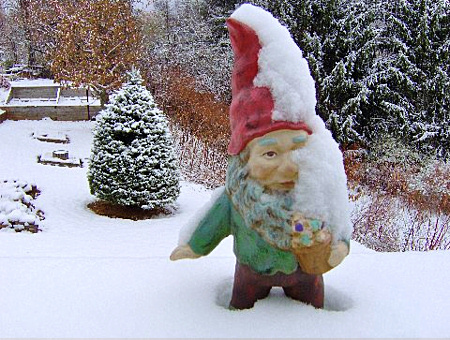 I have been trying to find the right yarn for the Yuletime Gnome by Alan Dart. The pattern calls for Sirdar Country Style DK, which I am sure is easy enough to get in Great Britian, but not so easy to find here in the US. I searched through the projects on Ravelry to see what others had used. 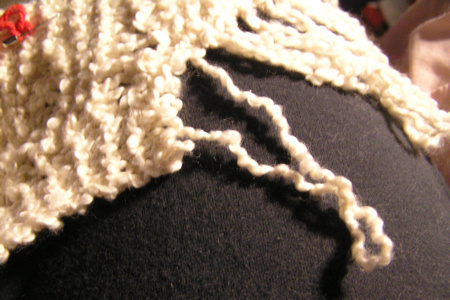 It looked like most people had chosen to use a sport weight yarn to substitute. I wasn’t real happy with that so I kept looking. I did a search on Google for DK weight yarn and came up with yarns that were easily available overseas, but had hefty shipping charges involved for US deliveries. So I went back to Ravelry and did a search in the yarns section for DK weight. That’s when I noticed Paton’s Astra. It is listed as sport, but will knit up to a DK gauge. Then I saw that the Harlot had used it to make mittens. That was a good sign. 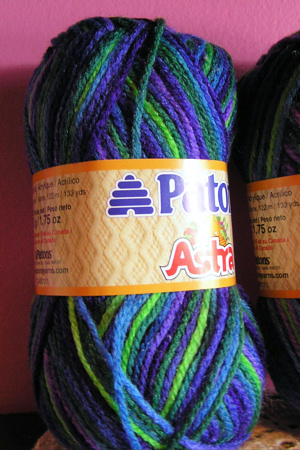 I went to the Paton website and read about the yarn. It is all acrylic, but that is ok when making toys and Amigurumi. It comes in a ton of colors… a dark, medium and light tan for all skin types! But where was it available? Click, click…. Herrschners, Jo-Anns and Mary Maxim, all online. I think I found my answer! I still needed to feel the yarn. I ran down to the local Jo-Ann’s to see if they had it in the store. They did, but only 4 or 5 colors. I snatched up a couple of skeins of the Electric Blues varigated color. I’ll knit up a little hat real quick and see how it does. While I was at Jo-Ann’s I looked around for yarn to use for the gnome’s beard. 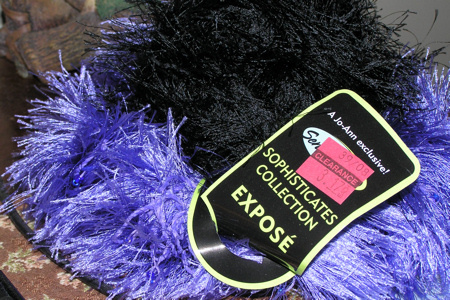 I found this Jo-Ann exclusive “Expose” eyelash yarn in the sale bin. 2 for $3. I picked up a black and a purple… altho it looks more blue in the photo. And the plus is the yarn has little tiny beads throughout. Don’t gnomes have beads in their beards? Well mine will. Since I can’t show you any current (Christmas present) projects, I thought I would show you an old project that I just posted on Ravelry. I apologize for the blurry picture. 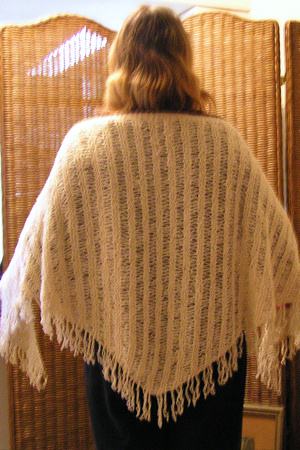 It is the “Dropped Stitch Shawl with Twist” pattern by Kelley Petkun. You can download the pattern for free from the Knit Picks website. I made the shawl with Knit Picks Crayon “Buttermilk” instead of the Twist that the pattern called for. Crayon is a very soft cotton yarn that I love rapping myself up in. 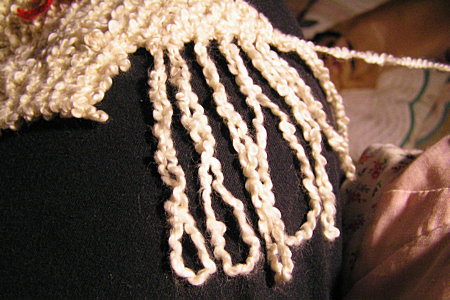 The pattern was fun because after you have the shawl knit up, you ravel the five stitches along the edge to make the fringe. Just a little spice added to the mix. And check out Knit Picks. They have some of the best prices and excellent customer service. And I don’t get a penny for saying so! I got a new book. I love it. 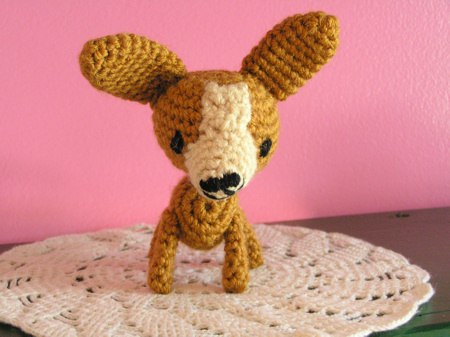 It is “Amigurumi! Super Happy Crochet Cute” by Elizabeth Doherty and I got it from Amazon. So many cute projects in here and a lot of good tips. I am going to try to make the boy monkey into a cute girl monkey. Great pictures and easy instructions. I recommend this book, and will show you my projects as I go along! Beth also has a website where you can see pictures of her work… really amazing!! Check it out. Anyone have idea’s for a name for this little guy? This cutie I made in one day while I was on vacation. I found a new link to the pattern. You can find his pattern here. I am working diligently on Christmas presents which I can’t talk about. But I did get pictures of the two kits I purchased at Sheep’s Clothing. The purple doesn’t want to photograph real well here, but you can kinda see it is varigated. Big warm wool socks. 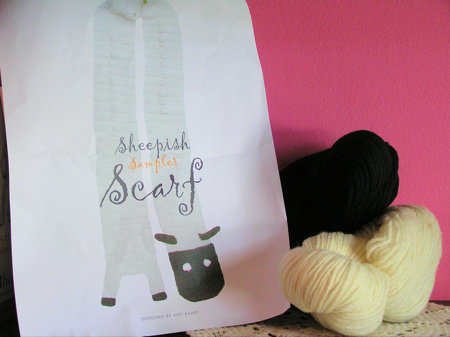 And the Sheepish Sampler Scarf. I decided to make it black with a white face. It was so cute done up in the shop. I’m not sure if I am going to keep it or give it as a gift. There are not many days here in Florida to wear a wool scarf. … and I am avoiding yard work. Here is a Knitting Meme I have seen around and I traced it back to Tingletangle. Mark with bold the things you have ever done, with italics, the ones you plan to do sometime, and leave the rest. 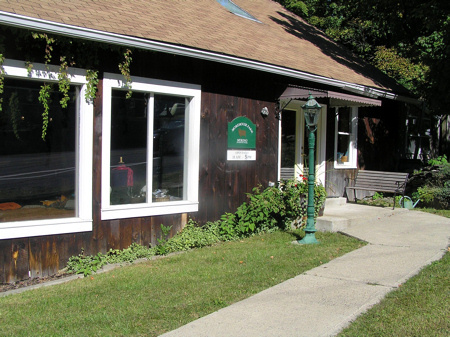 This is Sheep’s Clothing, the Morehouse Farm store in Milan, NY. This was a highlight of our vacation (for me anyway). I love the wool from Morehouse Farm sheep. It is a wonderfully soft Merino, and the colors are rich, just gorgeous. I only bought two kits this time around. 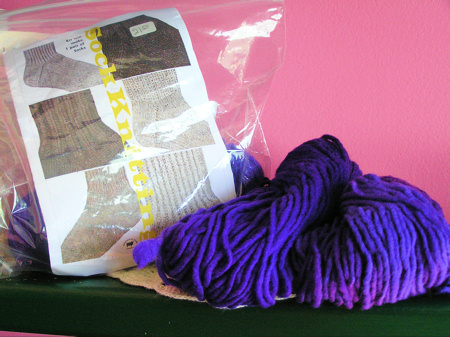 One sock kit and one scarf kit. I will get pictures up soon. I have been playing with Ravelry ever since I got back from vacation. Which really means I opened a Flickr account and have been uploading all my photos. The link on the side bar will take you to all my public photos. There is a folder for Vacation photos and one that is named Projects. That is where you will see all my knitting and crochet pictures. Well, not all yet, but the ones I have worked on. Ravelry is really great. You can list all your books and yarn and projects. It links you to people who have worked on the same projects. 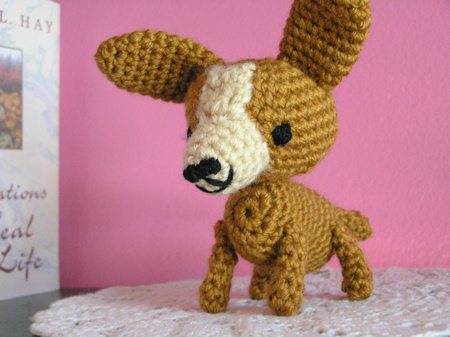 You can look up a certain yarn and find pattern ideas and see pictures of things your peers have made. Find comments others have made about the yarn. There are Forums and Groups too. Hundreds of groups. I keep joining groups! The site is still in Beta and there is a waiting list to be accepted. I joined the waiting list on July 4th and just got accepted last week. My ID is Babaknit. If you are a member, come check out my profile. My current projects are Christmas presents, so I really can’t be talking about them. Too bad, I would love to be showing them off!